One of the greatest joys of being a children's author is getting meet and talk with my readers. Since 2012, when my first book came out, I have been asked to visit dozens of schools from southern California to Boston, Massachusetts. I've met many memorable students and taken their stories with me, just as I hope they have taken mine with them. I live in Southern California where, in addition to writing, I teach English and history part-time at a middle school. I love working with students and would enjoy the opportunity to visit your school, bookstore, or library. I have a variety of presentations and workshops that I enjoy sharing and that are listed below. The Large Group Presentations generally last 30-45 minutes and are best suited for larger groups of students in grades 3 through 8. The Classroom Workshops are for smaller settings, such as classrooms and libraries, and groups of no more than 35 students. Download a flyer about my Author Visits here. Download a sample Author Visit Contract here. Download an Author Visit Letter here. All fees are due the morning of a visit. Typically, if I can drive to your school from the San Gabriel Valley and return home the same day, there is no need for travel expenses. For a full day at your school, I charge between $300-$500 depending on how many sessions I'll be giving. A full day might include 1-2 Large Group Presentations in an auditorium OR up to 3 breakout Workshops in classrooms. My books can be ordered ahead of time, and I am always happy to sign them after my presentations or after school. I do ask for reimbursement of my travel fees. A full day might include ONE Large Group Presentation in an auditorium and up to THREE breakout Workshops in classrooms. "I have been reading Losing It with my 6th graders for 6 years now! My students absolutely love this book and look forward to the annual visit from the author, Erin Fry. Erin gives an amazing presentation on the book and the writing process. My students are fully engaged through out the entire presentation! My favorite part of the presentation is the "question and answer" group conversation we have with her about the characters. Her writing style makes the students fall in love with the characters, and they can't help but to ask her questions about each one of them. I am always in awe at how their passion for Erin's book is highlighted during this part of the presentation!" "Thank you so much for your awesome presentation. It was a pleasure having you visit, and my students were super excited to meet an actual author. They just love the novel and connected so well with Bennett’s character. You have a special way of inspiring young people." "Erin Fry is a master presenter. Our students were engaged and excited to hear her secrets to writing. Motivating students to write is no easy task, but Erin has the ability to inspire them. It was a pleasure to have her at our school." 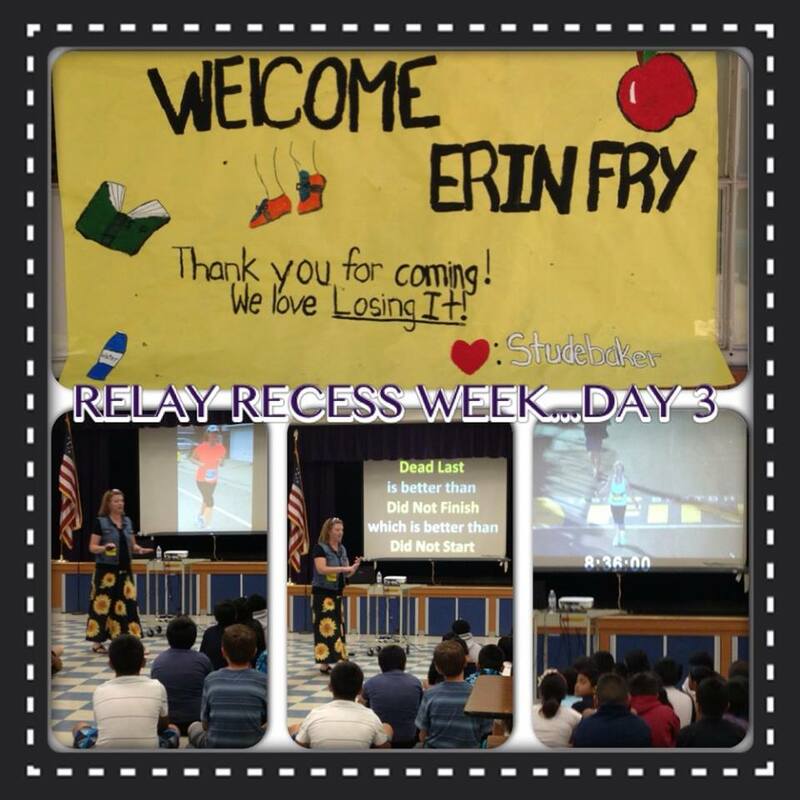 "Brightwood Elementary School was very lucky to have Erin Fry present. She was captivating and personable as she shared her love of writing with our students. Our students left her presentation eager to write and with plenty of good tips." "Ms. Fry shared her personal experiences and taught the students to find writing topics in unexpected places. The students left the presentation excited to embark on their writing adventures. I highly recommend Ms. Fry. Thank you, Erin Fry!" These presentations generally last from 30-45 minutes and are best done in an auditorium, gym, cafeteria, or large library setting. ​Since my books are best suited for grades 3-8, I also tend to tailor my programs to those grades as well. These presentations generally last about half an hour and are best done in a smaller setting, such as a classroom or a library. ​These workshops are meant to be interactive and get students brainstorming and writing. I Have an Idea . . .and So Will You!